UPDATE: Politico is now reporting that Senator Kennedy says he is still considering supporting the CRA. If he truly cares about the open Internet, he should publicly state his support for the CRA and withdraw this legislation that would undermine net neutrality. 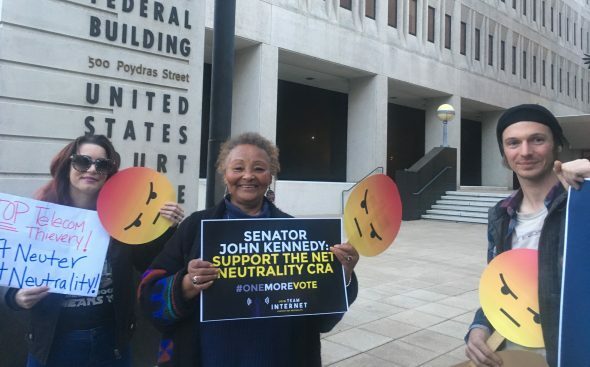 Today Senator John Kennedy of Louisiana betrayed his constituents, Louisiana small businesses, and millions of Internet users by introducing a widely-criticized piece of net neutrality legislation for consideration in the Senate. The bill is a companion to legislation proposed by Rep Marsha Blackburn (R-TN), one of the most notorious anti-Internet lawmakers in Congress, who has taken more than $600,000 from the telecom lobby and is widely perceived as a shill for the industry. 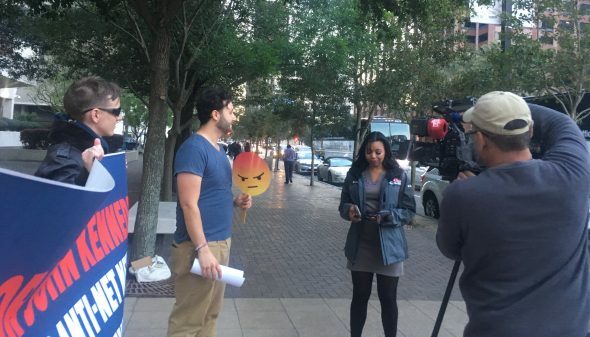 “Louisiana residents, small businesses, and Internet users from across the political spectrum asked Senator Kennedy to be a hero. Instead, he stabbed them in the back. Honestly, the Senator should resign over this. The fact that he thinks his constituents would be fooled by this trojan horse legislation is insulting. If Senator Kennedy cares one iota about protecting businesses and residents in his state, he should support the Congressional Review Act (CRA) resolutions to restore net neutrality rules, rather than offering a bill that was basically written by Comcast’s lobbyists, and that has no chance of passing anyway. Senator Kennedy’s move shows blatant disregard for the massive momentum behind the movement to restore net neutrality rules. 3 out of 4 Republican voters oppose the FCC’s repeal, and a net neutrality bill in Washington State just passed with overwhelming bipartisan support. Fight for the Future has pledged to notify large numbers of voters about where Senators and Representatives stand on the CRA resolutions to save net neutrality ahead of the 2018 election. Another corporate shill trying to play it both ways…sleezeball needs to be pressured to do his job for the people and or voted out…like so many others.